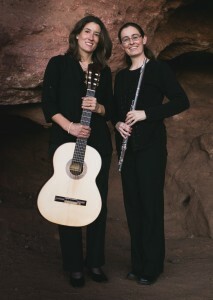 Whether you are looking for background music or featured entertainment, the Colorado Lark Flute & Guitar Duo will put together customized musical programming. Live music adds an elegant, personalized touch to your event. Will special song requests for my event be accomodated? 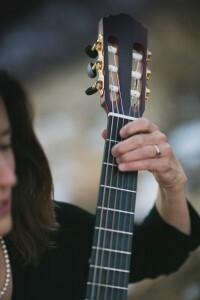 Yes, the Colorado Lark Duo is happy to learn new songs for key moments at your event. Requests must be made in advance. 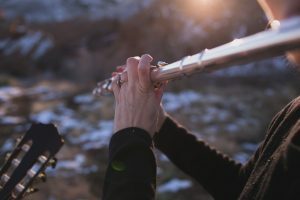 Should you have special requests, flutist Jennifer Pauley and guitarist Lorian Bartle will guide you through the music selection process and make recommendations for music that works well as an arrangement. Musical requests made with enough advance notice will be accommodated if they lend themselves to beautiful arrangements. Will amplification be provided for my event? Should your event require sound enhancement, amplification will be provided at no extra charge. The Colorado Lark Duo has high-quality amplification equipment that will be adjusted to match the desired ambiance of your event. They only need access to a single standard outlet to hook up their sound equipment. In the event that there is no outlet, please let the Colorado Lark Duo know in advance and they will bring a battery-powered amp. Does the Colorado Lark Duo perform outdoors? Yes, they perform for outdoor events, weather permitting. The Colorado Lark Duo performs with custom handmade instruments and quality sound equipment that cannot be exposed to any form of precipitation. In the case of inclement weather (extreme heat, cold, precipitation, heavy winds), alternate arrangements should be made in advance to insure that an optimal musical performance can take place at your outdoor event. Depending on the weather conditions, shade, a tent shelter, or an alternate indoor performance location can provide protection from Mother Nature. To reserve a date, please contact Lorian Bartle to check for availability. A complementary consultation can be provided via phone. A contract signed by both parties confirms the booking of your event. What are the artists’ rates and what do they include? The fees include amplification, equipment insurance, a consultation, setup time, and rehearsal time. The duo will communicate in advance with event planners, officiants, family members, and other involved parties to ensure that the music is coordinated with the event. The Standard Mileage Rate of 54.5 cents per mile applies to locations outside a thirty-mile radius of central Denver. Customized requests are typically included in the price of the event unless they involve extensive preparation time or if music needs to be special ordered. Will the Colorado Lark Duo attend my wedding rehearsal? It is not necessary for the duo to attend rehearsals as they will coordinate the details for the ceremony in advance. Should you wish them to attend the rehearsal, the special event fee applies. How long are events booked for? The minimum booking time is one hour. The maximum booking time is three hours. For events longer than an hour, short breaks will be scheduled to ensure an optimal performance. During break times, the duo will provide an iPod with recorded music hooked into their amplication system to ensure that there are no interruptions in the music. What are the pre-performance setup procedures for my event? Lorian Bartle and Jennifer Pauley will arrive at your event well in advance of the performance. They allow ample time to set up their equipment, adjust their sound system, and communicate with necessary parties about the finalized event timeline and any necessary cues.